This year's Cannes Lions International Festival of Creativity demonstrated the importance of earned media and collaboration amid the accelerating integration of the global marketing sector. PRWeek executive editor Bernadette Casey sat down with WPP Group CEO Martin Sorrell in Cannes to discuss content creation, a surprising hot market, and PR awards at the festival. It is crucial to build brands by marketing with people, not to people, Unilever CMO Keith Weed told an audience in Cannes. Getty Images is showcasing its Lean In collection, which depicts women as confident and powerful, rather than models. The Cannes Lions International Festival of Creativity released a statement on Wednesday morning clarifying that FleishmanHillard was the first PR agency to win a Grand Prix when it was recognized in 2010. Fresh off the back of winning the Cannes Grand Prix, Edelman's boss revealed the secret of his success. 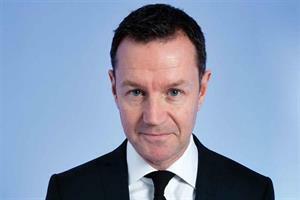 PRWeek's sister title Campaign has launched its live international blog of Cannes Lions 2014, powered by its UK team and journalists around the world. Edelman New York, along with Creative Artists Agency Los Angeles, has won the Grand Prix and a Gold Lion at this year's Cannes Lions International Festival of Creativity for its work on Chipotle Mexican Grill's The Scarecrow campaign. While Edelman New York claimed the Grand Prix in the PR Lions last night, the UK's showing was limited to two Silver Lions for TBWA\London and JWT London and a Bronze Lion for HSBC. When I sat on the PR jury at Cannes back in 2010, much time was spent debating what was PR and what wasn't. Yuichiro Okada and Tetsuya Umeda of Japan have claimed gold in the inaugural Young PR Lions competition at the Cannes Lions International Festival of Creativity, with the UK team taking silver. The shortlist for the Cannes PR Lions demonstrates the strength of WPP's Ogilvy and Ogilvy & Mather networks, which claimed 24 out of the 181 entries that made it through to compete for the Grand Prix tomorrow night. GolinHarris has rebranded as Golin ahead of the Cannes International Festival of Creativity this weekend, where it will become the first PR agency to open the festival. The UK's best young PR talent are bidding for global glory at the Cannes Lions International Festival of Creativity. Weber Shandwick's Leila Mountford and Kate Sloan are to head to Cannes to compete in the Young PR Lions competition at the International Festival of Creativity after winning the PRCA-supported UK contest. Are brands ready for the expectations of a new generation of game changers? CANNES, FRANCE: Members of the PR Lions jury at this year's Cannes Lions International Festival of Creativity, which will take place June 15-21, have been selected. So, the 2013 PR Lions have been awarded and the post mortems have begun in earnest, even before the official Cannes "opening ceremony" Tuesday night. In this video blog, MSLGroup CEO Olivier Fleurot points out the three topics from the festival that are most important for the PR and communications industry. CANNES, FRANCE: Unilever's Dove campaign Real Beauty Sketches, led by Ogilvy Brazil São Paulo, impressed judges at the 2013 Cannes PR Lions. CANNES, FRANCE: PR agencies walked away with more Gold and Silver awards at the 2013 Cannes PR Lions than in previous years, but advertising firms still led the way during Monday's awards ceremony. McCann Melbourne's Dumb Ways To Die has been the sensation of the Cannes Lions Festival of Creativity so far, bagging two Grands Prix on Monday and almost certain to win more as the week goes on.